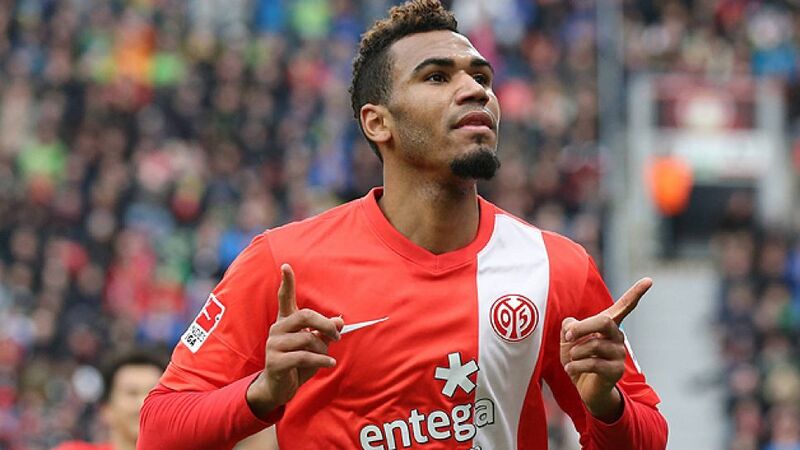 Leverkusen - Matchwinner Maxim Choupo-Moting was a happy man indeed after his improvised backheeled finish gave 1. FSV Mainz 05 the points away at Bayer 04 Leverkusen on Matchday 23. The hosts, meawhile, accepted that Bayer are in the middle of a wretched run of form and that they need to work hard to get luck back on their side. Maxim Choupo-Moting: The ball came to me pretty quickly and I had to take it instinctively, and I'm obviously delighted it ended up in the back of the net. Backheeling it was the only way I could score from that position. For Mainz to be sixth in the table is really something special, but I'll have to speak to the guys about whether we go out and celebrate or not. Loris Karius: Winning away at the team second in the table is a great feeling. We knew we'd have the odd period where we'd be under pressure and it was great for me to have a lot to do; you feel like you're more in the game. To be honest, though, I don't care what happens as long as I keep a clean sheet. Simon Rolfes: You accept that you're going to have periods where things are tough. I think you see that we're panicking up front and not staying calm. We also had to accept that sooner or later we might be knocked off second spot. Heung-Min Son: We were a bit unlucky. We had enough chances, but when you're 1-0 behind at home to a side who then stick men behind the ball (...) of course we should have done better and scored. We've got to clear our minds a bit. We need to enjoy ourselves like in the first half of the season, so it's very important we clear our minds. Bernd Leno: We didn't take the few chances we had and we've just got to force our luck. Let's not forget we won a lot of games in the first-half of the season very narrowly and we just don't seem to have this luck at the moment. We're lacking that conviction up front. We've got to force this luck to return. We seem to do better against sides who attack us, whereas we've been losing to the smaller teams.